We are starting our next Wellness Challenge at CrossFit Zionsville January 19th, 2017. Not yet a member? Join us for $149 which will include unlimited workouts in our newly expanded facility for 6 weeks, nutrition guides, access to a Registered Dietitian, our on-line wellness system, group Facebook pages where previous successful challengers will share recipes and tips, and a ton of fun. Our wellness challenges have been the stepping stone for most of our member’s success in changing their bodies, mindset and health. Read more about the challenge here. The Dietitian you will be working with during the challenge is Registered and Licensed Dietitian, Amanda Minton. Amanda received her B.S. in Nutrition and Dietetics from Western Kentucky University in 1999. She completed her Dietetics Internship at Indiana University Medical Center and became a Registered Dietitian in 2000. Amanda is also a Certified Pilates Instructor, Group Fitness Instructor and a Level 1 CrossFit Trainer. Amanda has been fascinated with nutrition since developing food allergies at age 10. She has been involved with nutrition, sports and exercise her entire life and loves working with individuals to assist in optimizing their training with correct nutrition. Amanda lives in Zionsville with her 4 year old daughter Mia and trains at CrossFit Zionsville. 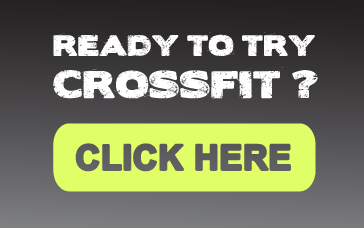 If you are interested in joining a future Crossfit Zionsville challenge please email info@CrossFitZionsville.com.